Mix sparkling stylish details with sweet comfort in the SKECHERS Luxe BOBS - Caviar and Candy shoe. 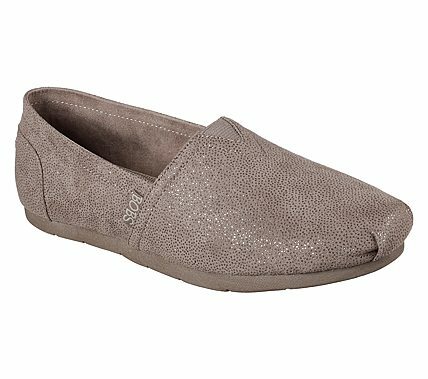 Soft suede-textured microfiber fabric upper in a slip on casual alpargata flat with glitter dot print detail and stitching accents. Memory Foam insole.